Konzerthaus (Werner-Otto-Saal) - BerlinYoung Euro Classic | EUROPE – My Home? My Future? At Young Euro Classic, the only thing that counts is the shared experience – differences are welcome. This year the festival will take place from July 19 to August 6. 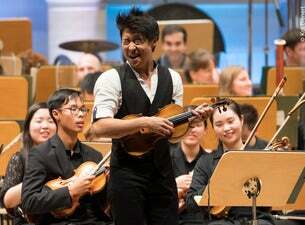 In 2019 this unique music festival at the Konzerthaus on Gendarmenmarkt goes into its 20th season. The best youth orchestras in the world guarantee exciting and inspiring concert performances, led by great conductors and flanked by virtuoso soloists. This year, the young musicians focus particularly on 20th century music and great violin concertos. As always, the enthusiastic instrumentalists also bring works from their home countries. Listen to the familiar in a new way while discovering the charm of the unknown! Young Euro Classic – the festival of the world’s best youth orchestras. Tomorrow’s musicians today! Young Euro Classic tickets are available at Ticketmaster.